From the author of Smilla's Sense of Snow, an epic novel about faith and the magic of everyday life. 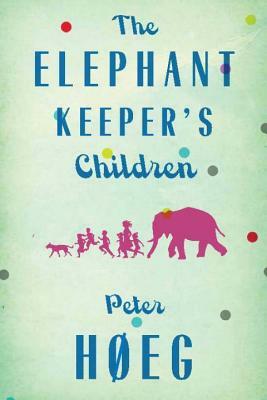 Told from the precocious perspective of fourteen-year-old Peter, The Elephant Keepers' Children is about three siblings and how they deal with life alongside their eccentric parents. Peter's father is a vicar, his mother is an artisan, and both are equally and profoundly devout. The family lives on the (fictional) island of Finø, where people of all religious faiths coexist peacefully. Yet, nothing is at it seems. When Peter's parents suddenly go missing, Peter and his siblings fear the worst--has their parents' relentless quest to boost church attendance finally put them in danger? Told with poignancy and humor, The Elephant Keepers' Children is a fascinating exploration of fundamentalism versus spiritual freedom, the vicissitudes of romantic and familial love, and the triumph of the human spirit. Peter Høeg was born in Copenhagen, Denmark. Before becoming a writer, he worked variously as a sailor, ballet dancer, and actor. He published his first novel, A History of Danish Dreams (1988), to positive reviews. However, it was Smilla’s Sense of Snow (1992), a million-copy best seller, that earned Høeg immediate and international literary celebrity. His books have been published in more than thirty countries. Martin Aitken holds a PhD in linguistics and gave up university tenure to translate literature. Novels in his translation have been published on both sides of the Atlantic, and his translations of Danish short stories and poetry have appeared in The Literary Review, AGNI, Boston Review, and A Public Space, among other publications. He lives in rural Denmark.